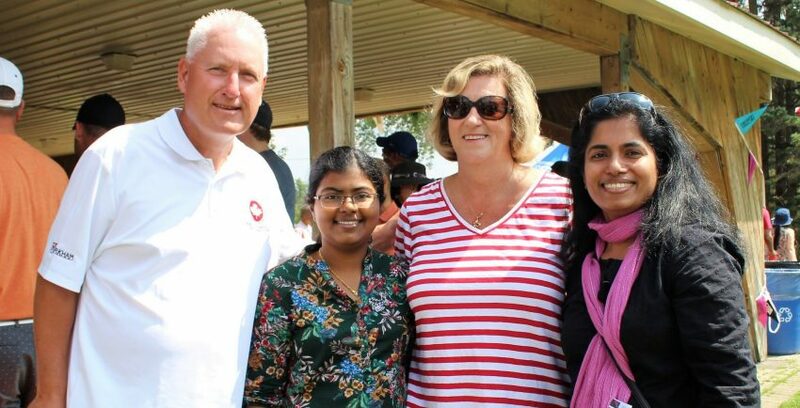 Helena Jaczek, MPP Oak Ridges – Markham hosted her 10th Annual Community BBQ on Aug. 20 at Memorial Park in the town of Whitchurch-Stouffville. Local residents were treated to free food (which included a full fledged ice cream truck) and housed under a large tent adjacent to a small stage packed with big performances. Allan Bell of Markham-Stouffville Hospital served as MC of the event that featured the Beep for Cancer Car and a chance to win big in their Raffle of Hope. Also in attendance were Karen Rea (Ward 4 Councillor), Don Hamilton (Ward 3 Councillor) and several volunteers and staff from Queens Park.